A solid financial future begins today, so much of my work is teaching others tools of the trade. The trade? Saving. Your future is built on contributions you make today, and something I can’t emphasize enough is that it’s never too early to plan for later. That’s why I aim to teach millennials the different options when it comes to planning, saving, and being smart with their money. Of course, it’s unlikely that a company would offer a premium savings plan to temporary, seasonal, or even part-time employees; this is where some young adults assume they’re out of luck. They’re wrong! Tons of options are out there for young, low-income employees (even if they’re working solely to supplement their summertime shenanigans). 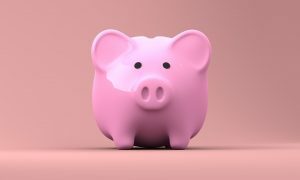 There’s an array of ways to contribute the money you make as a young adult into a savings account. Young adults don’t always understand the necessity of a strong financial foundation at their age, and I’m here to tell them a rainy day fund won’t necessarily cut it for retirement. Although a summertime retail job might not be part the of long-term career goal, all income earned is an opportunity for the future. Whether that opportunity comes in the form of a little extra cash from a tax return, an IRA, or an investment—I want to teach millennials all of their options. As a financial advisor, my job is simple: I help get more money into my clients’ pockets. No matter how old you are or what your current financial situation is, I want to help you gain better control of your finances. Call 702-515-4025 for a free consultation.